Priscilla and Dave O'Donnell show where their gift to the Campaign for Children's of Mississippi is going -- to help fund construction of a new children's tower, shown here in model form. 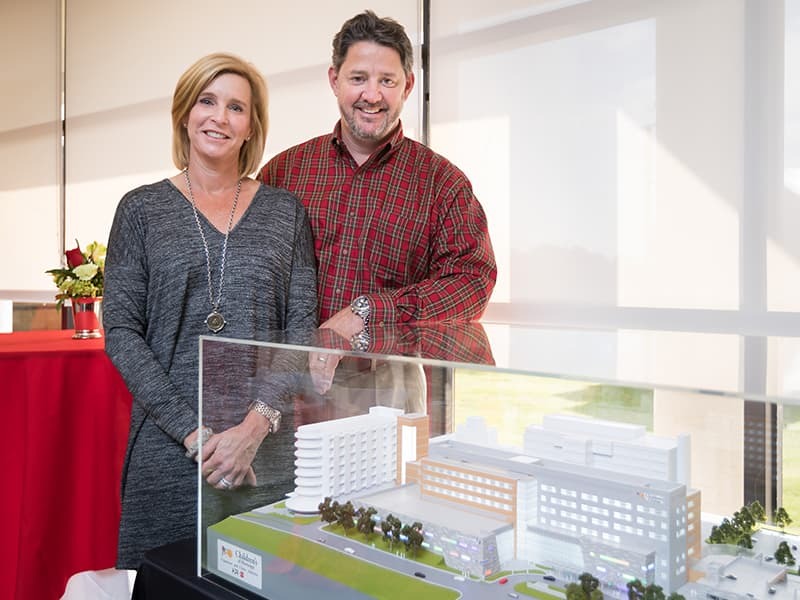 Dave and Priscilla O’Donnell are committed to the construction of a new seven-story children’s tower adjacent to Batson Children’s Hospital, and have expressed this commitment with a $1 million gift to the Campaign for Children’s of Mississippi. With this gift they are funding the Priscilla and David O’Donnell Pediatric Intensive Care Unit Cardiac Wing. The new PICU unit will be located on the west side of the new Children’s of Mississippi tower. There will be 12 dedicated cardiac beds where medical and surgical (including pre and post-operative) care for children with congenital heart defects will be managed. Dave’s project management background and his career as executive vice president of the Bowers Group, a mechanical contracting firm in Washington, D.C., might make one think the building process would pique the couple’s interest. Instead, it was their tour of Batson, the state’s only children’s hospital, that captured their thoughts. The couple, who together have five daughters ages 20 to 29, divide their time between Mississippi and Baltimore, Maryland. The importance of children and family are values the two share. A Mississippian by way of Florida, Priscilla has long known of Batson Children’s Hospital, which reached its 20th anniversary this year. The new children’s tower will include 88 private NICU rooms, along with additional pediatric intensive care unit space, 10 more operating rooms, an imaging center designed for children and a pediatric outpatient specialty clinic. 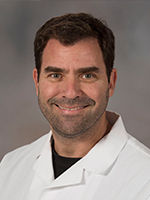 The Children’s Heart Center, the only pediatric cardiology program in the state, will also have its own space as part of the project. Construction of the tower begins this month. Priscilla said their commitment, as well as the groundbreaking event for the new facility, coming during the holiday season makes it more meaningful.